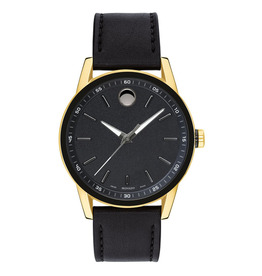 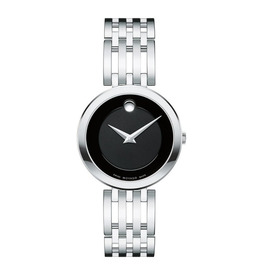 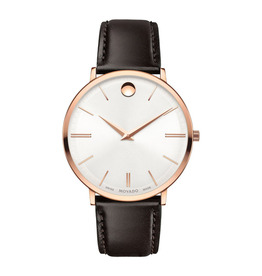 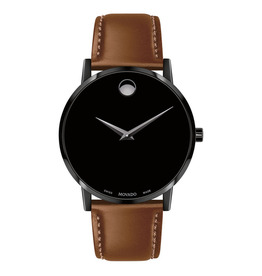 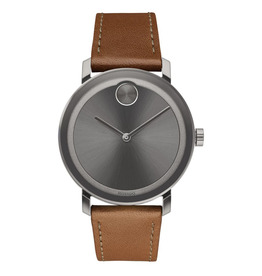 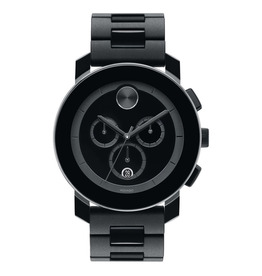 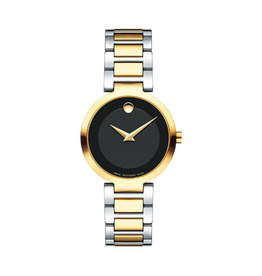 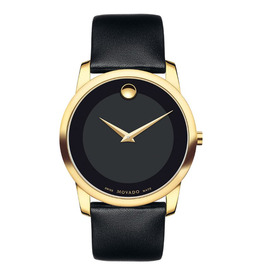 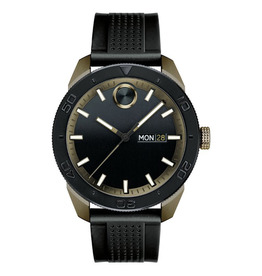 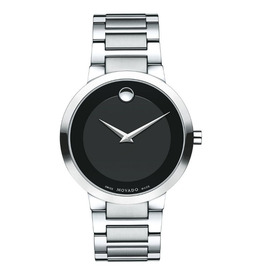 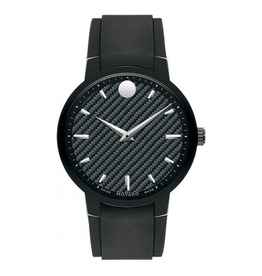 Large Movado BOLD Evolution watch, thin 40 mm gunmetal ion-plated stainless steel case, K1 crystal, gunmetal sunray dial with matching sunray dot/hands, top-stitched cognac leather strap with gunmetal ion-plated stainless steel buckle. 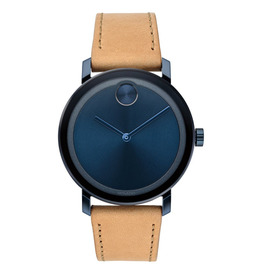 Large Movado BOLD Evolution watch, thin 40 mm blue ion-plated stainless steel case, K1 crystal, blue sunray dial with matching sunray dot/hands, top-stitched beige leather strap with blue ion-plated stainless steel buckle. 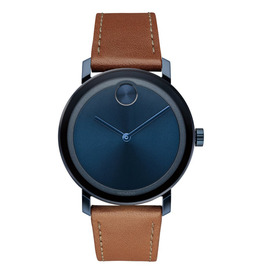 Large Movado BOLD Evolution watch, thin 40 mm blue ion-plated stainless steel case, K1 crystal, blue-toned sunray dial with matching sunray dot/hands, top-stitched cognac leather strap with blue ion-plated stainless steel buckle. 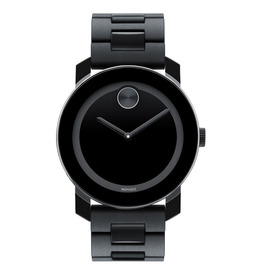 Large Movado BOLD watch, 42 mm black TR90 composite material and stainless steel case, black dial with cobalt blue sunray dot and hands, black TR90, black polyurethane and stainless steel link bracelet with deployment clasp.